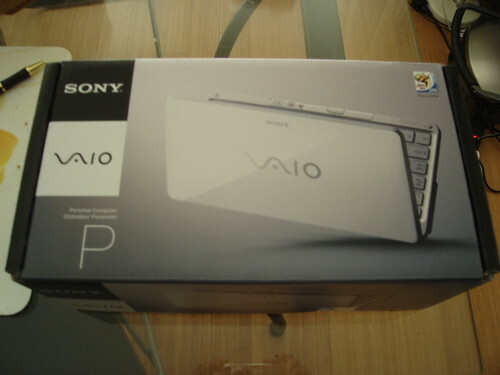 So, I ordered my Vaio P from the local Sony Store rather than directly from Sony. 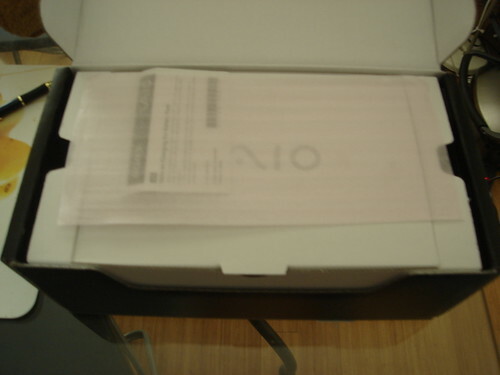 Good choice – I got to pick it up from the store today, I don’t think any of the direct orders have arrived yet. It’s amazing. 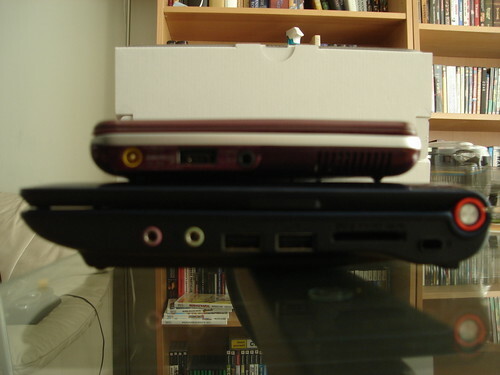 A lot of people consider it overpriced compared to ‘normal’ netbooks, but it really is a different story – the size, weight, build quality and the screen are on a different level. Here’s some fairly crappy pictures (my years old camera doesn’t like focussing properly without flash). 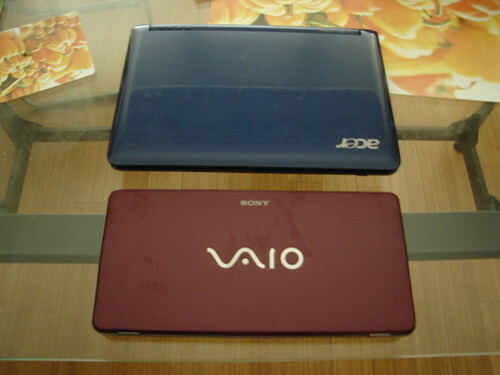 The comparison shots are with my partner’s Aspire One – as you can see, the Vaio is a lot smaller and a lot thinner. It also weighs a *lot* less. Hopefully I’ll have a picture of it up and running Linux soon! nice design ! 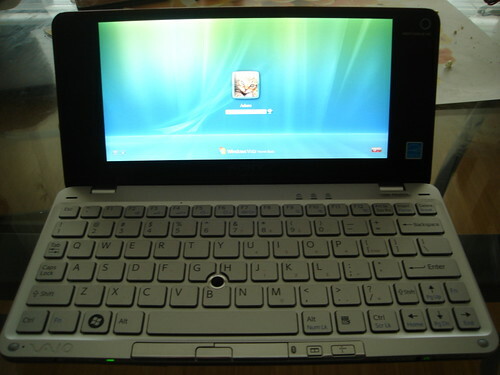 the keyboard looks comfortable even with that small size, perhaps it was a good option to remove the touchpad. 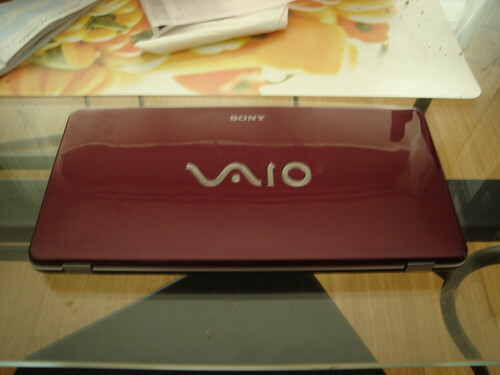 Nice looking little device. 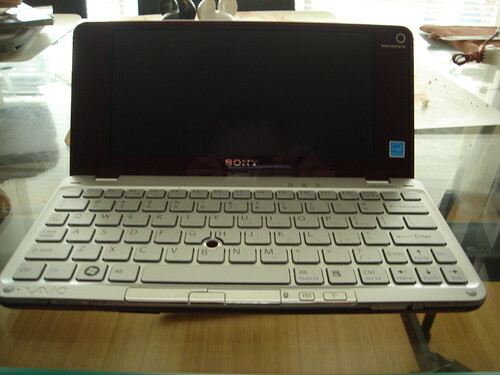 I just got a netbook myself two weeks ago, the first for me, and have been trying a number of distro’s on it looking for the best fit. I am interested in what you decide to run linux wise on the device, please do let us know. Will you keep win7 installed, or flatten it and pave a new linux road? I’m keeping win7 installed until I figure out a strategy for saving off disk. it runs Fedora, I maintain the Linux driver for psb just because of the thing. mostly I use my Z now, though. date? bah I missed that =). My Fedora trials start tomorrow although with a broadcom card I am not sure how it will go.